Toilet seat is not the dirtiest place in your home. Check your kitchen. 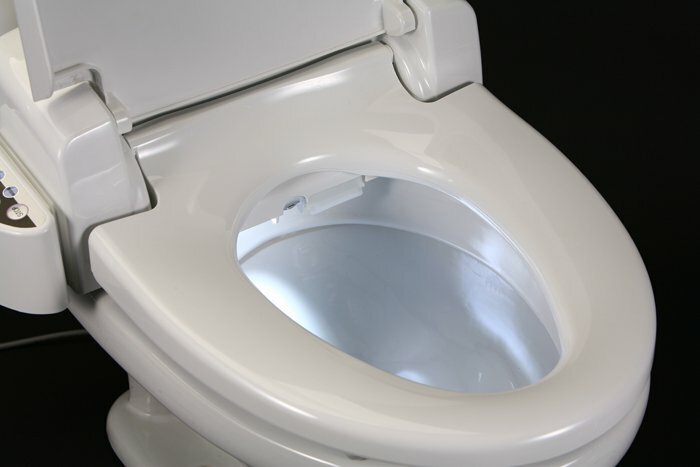 The toilet seat has acquired an unfair reputation as the dirtiest item in the average household, but scientists say there are far filthier places in our house, some of them where we least expect. Would you chop your vegetables on your toilet seat? I think pretty much all of us would say No. But maybe we should think again. Dr. Chuck Gerba, professor of microbiology at the University of Arizona, studies how diseases are transferred through the environment. This involves swabbing household items and measuring how many bacteria – and what sort – develops. He particularly looks for faecal bacteria such as E.coli and Staphylococcus aureus. His studies have found that on the average toilet seat there are 50 bacteria per square inch. “It’s one of the cleanest things you’ll run across in terms of micro-organisms,” he says. We should be more worried about other household items, it seems. “Usually there are about 200 times more faecal bacteria on the average cutting board than on a toilet seat,” he says. In the kitchen it doesn’t necessarily get there through actual contact with faeces. It comes via raw meat products or the viscera from inside of the animal, where a lot of the faecal bacteria originate. Would Dr. Chuck Gerba be more inclined to chop his vegetables on a toilet seat then? “It would seem a safer place,” he says. It’s because we all fear the dirtiness of the toilet seat so much that we regularly clean it, so perhaps this is the course of action we need to take with our chopping boards. Luckily with some of the new toilet seat technology you can at least deal with some of the smell issues through charcoal filtering, and hopefully we’ll start to see more sterilization options getting popular.But the filthiest culprit in our homes is the kitchen sponge or cloth. According to Dr. Chuck Gerba, there are about 10 million bacteria per square inch on a sponge, and a million on a dishcloth. In other words, a kitchen sponge is 200,000 times dirtier than a toilet seat, and a dishcloth is 20,000 times dirtier. This is the same the world over. “Always the dirtiest thing by far is the kitchen sponge,” says John Oxford, professor of virology at the University of London and chair of the Hygiene Council – an international body that compares hygiene standards across the world. Its latest study examines samples from homes in nine different countries, and finds that 21% of “visibly clean” kitchen cloths actually have high levels of contamination. The cloths also fail the bacterial test which looks for E.coli. Saudi Arabia has the dirtiest fridges, with 95% of the fridges in the study failing the bacteriology test for E.coli. And in South Africa, the dirtiest item is the seal in the bath, with almost two-thirds with unsatisfactory levels of E.coli and 40% for mould. “It’s always a bit delicate which countries are the worst,” says John Oxford. What about away from our homes? Dr. Chuck Gerba says the office is particularly bad. “Many people don’t realize they’re talking dirty every time they pick up their phone, because they never clean it. “Shopping trolleys are really bad,” warns Chuck Gerba. What’s more, about half of reusable shopping bags have faecal bacteria in them. So what does this actually mean for us in terms of health risks? “These numbers of bacteria, particularly for E.coli, are huge,” says Oxford. But we all touch these perhaps startlingly dirty things every day, and on the whole we don’t get constantly ill.
“We’re jolly lucky that as we’ve evolved over two million years, we have a whole set of genes whose only function is to get the immune system in action,” says John Oxford.